INFRASTRUCTURE PLANS NOW HERE - GIVE US YOUR FEEDBACK! PLANS MOVE TO CONSTRUCTION - AND SOME SUCCESS! 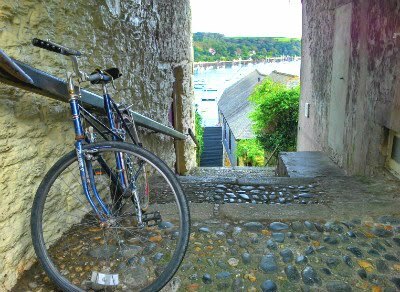 WHERE IN FALMOUTH AND PENRYN WOULD YOU LIKE TO HAVE A CYCLE ROUTE? The Fal Cycling Campaign is here to provide a voice for people who cycle and those who would like to cycle in Falmouth, Penryn and the surrounding communities. The more people we have signing up to show support, the bigger our voice will be. Our local area already benefits from a large number of people who choose cycling as their form of transport. This reduces congestion on our roads, reduces local noise and air pollution, improves health, saves money and is proven to make people happier. In fact cycling infrastructure has previously been highlighted as a priority within the Falmouth and Penryn Transport Assessment, Falmouth Community Plan, Penryn Parish Plan and the Strategic Investment Framework for Falmouth and Penryn. Yet despite this our cycling infrastructure continues to be woefully inadequate, massively underfunded and in need of representation. We want our local councils to take cycling seriously, to actively promote its use, and to provide greatly improved infrastructure for everyone to enjoy. As well as joining us you can stay up to date and help promote our work using our Twitter, Facebook or Google+ pages below.